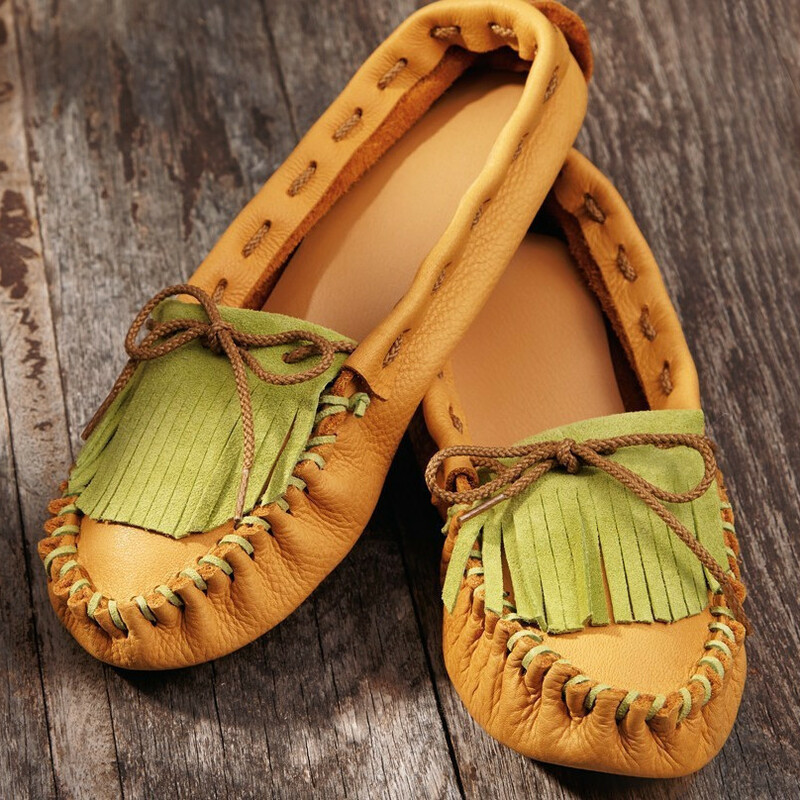 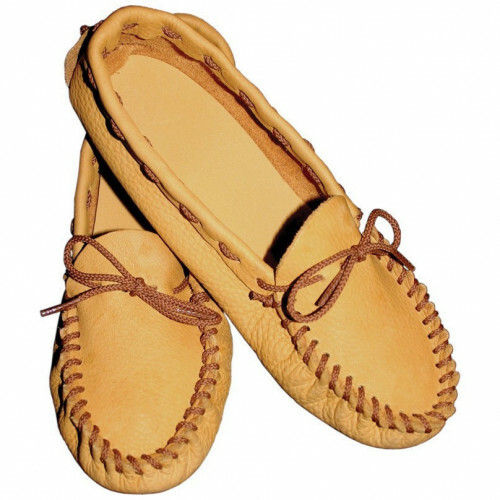 You may not want to wear your regular shoes again, once you slip into these soft, scout style mocs. 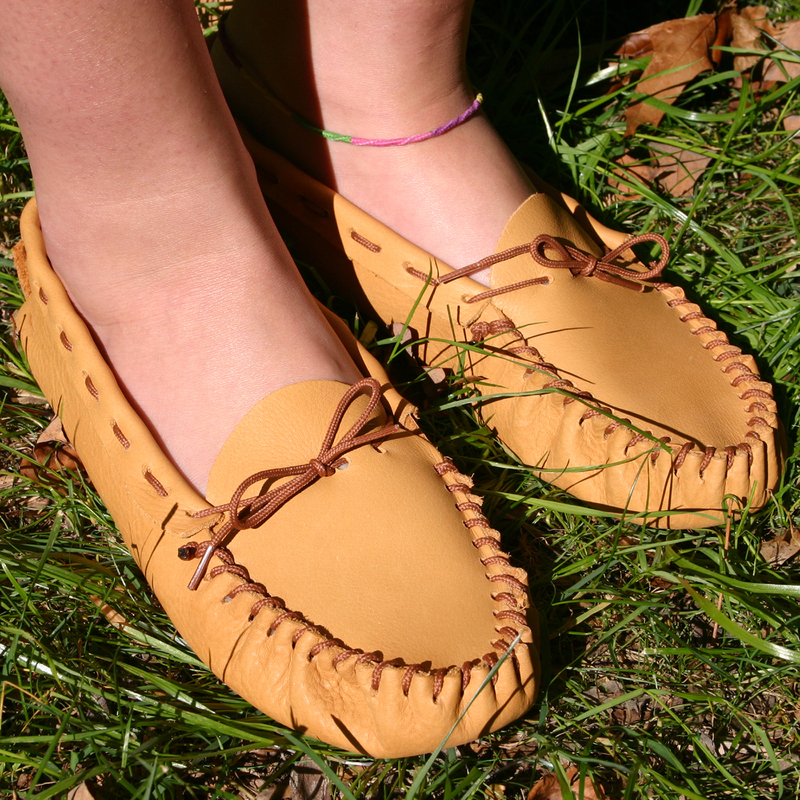 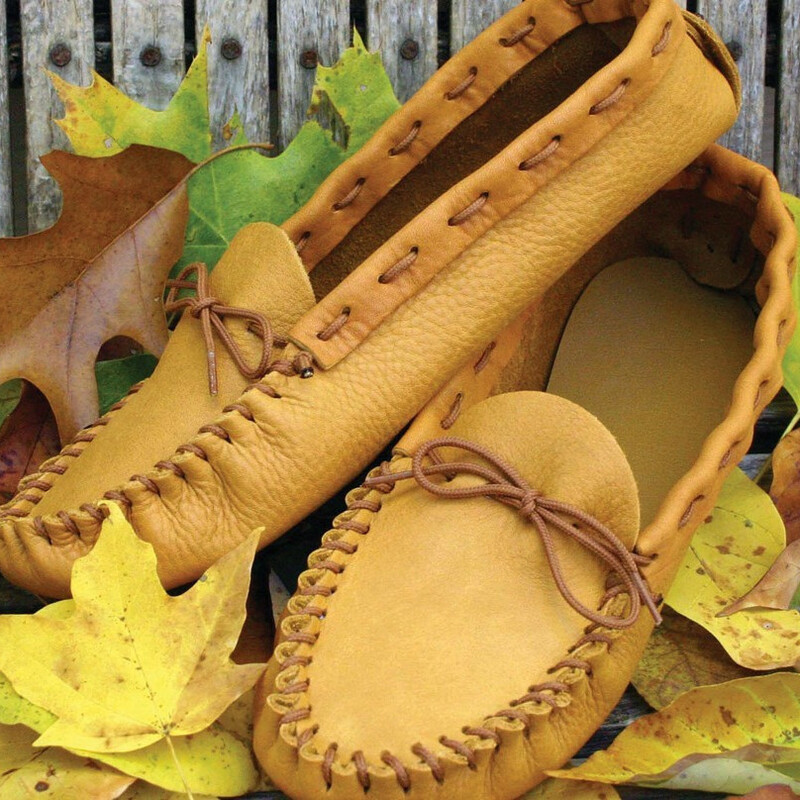 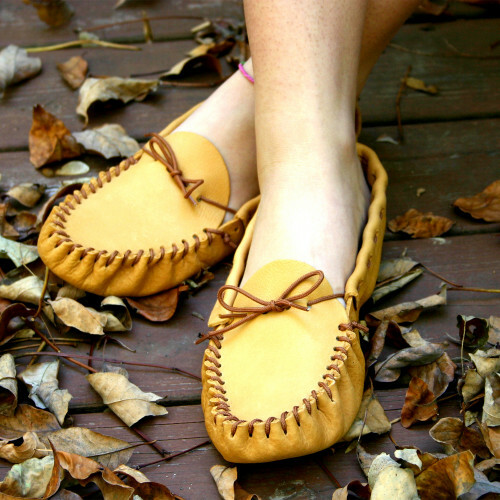 Made from durable golden tan Deertan cowhide, these comfortable mocs will conform to the shape of your feet with wear. 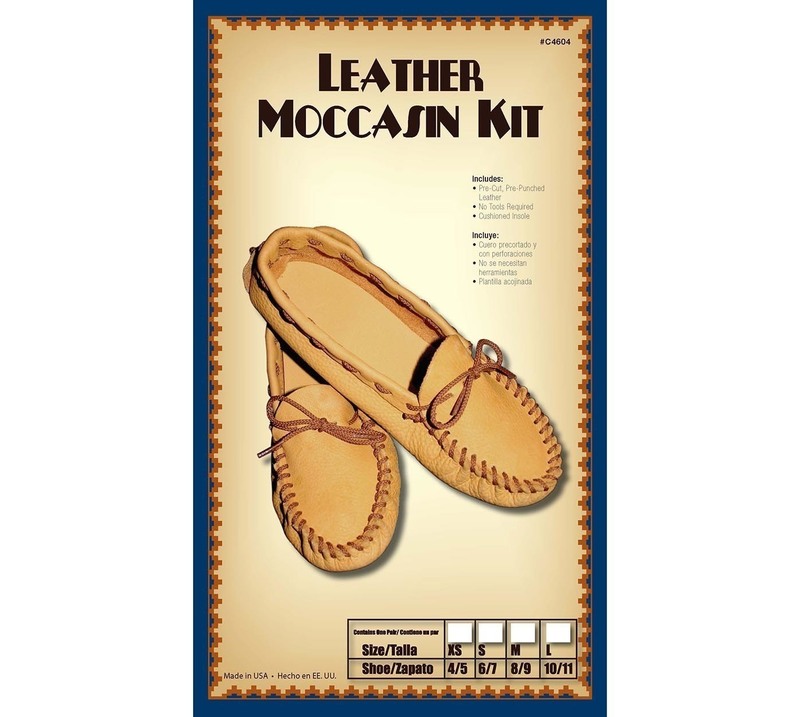 Kit includes pre-cut and pre-punched parts, pre-attached cushiony insoles, lace and step-by-step assembly instructions. See chart for sizing.